Of mysterious origin, but of fabulous taste, éclair’s are the new big thing. In Paris alone, within the last three years entire bakeries opened only dedicated to the cream-filled pastry. 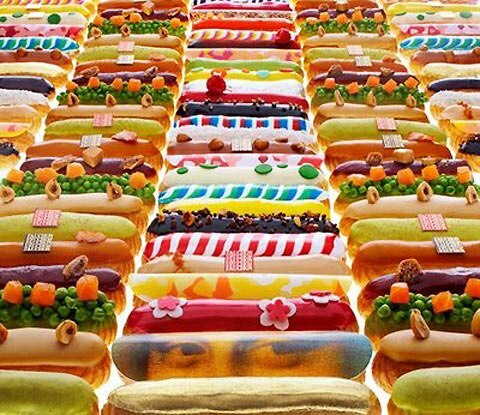 Among the most famous are l’eclair de genie, and l’Atelier de l’Éclair. But also longer established cafes and bakeries with a strong focus on eclairs, such as the patisserie Sadaharu AOKI, remain definetly worthwile visiting. Nowadays, eclairs do not only come in all colours but may be offered in different sizes as well (in de genie you can for example buy praliné éclairs). To remind, everbody, what an eclair is: it’s kind of a long, soft sandwich which is filled with some cream and its top covered with a glace. Very special in texture, it is soft and moist. 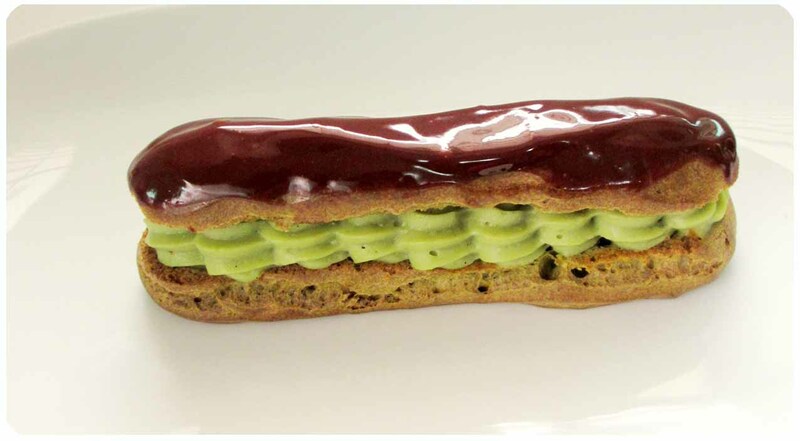 For a first try to prepare them yourself, I can recommend you the Matcha éclair (see picture) by “Jo the tart queen“.